Sights of the City with views of the Cape Town Stadium, the White Beaches of Clifton, Camps Bay and the Majestic Twelve Apostles. 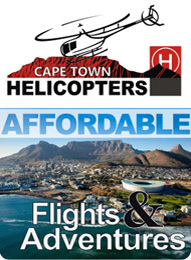 Enjoy a scenic flight along the Atlantic Coast viewing famous spots like the Cape Town Stadium, the 4 Beaches of Clifton, Camps Bay and the Twelve Apostles. Swing around Karbonkelberg to catch a glimpse of hout Bay and Chapman's Peak before returning back to the V&A Waterfront. Take off from the V&A Waterfront and enjoy a scenic flight along the Atlantic Coast passing Hout Bay and Chapman's Peak over to False Bay, passing Fish Hoek to Muizenberg following the railway to Town around Hospital Bend. 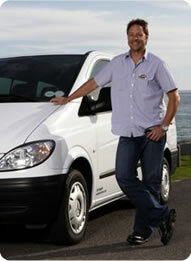 Receive a Free City Sightseeing Bus Ticket with every Two Oceans Flight. Ticket redeemable within 7 days and valid for a One Day Pass on the Red or Blue Route. Taking the Full trip from Cape Town to the Cape of Good Hope viewing the Cape Peninsula from all angles before flying along the False Bay Coast and onto Cape Town. A truly unforgettable experience!! !